The Legal Services was formed in July 2011to deal with numerous land disputes that surfaced during the nationwide cadastral resurvey. 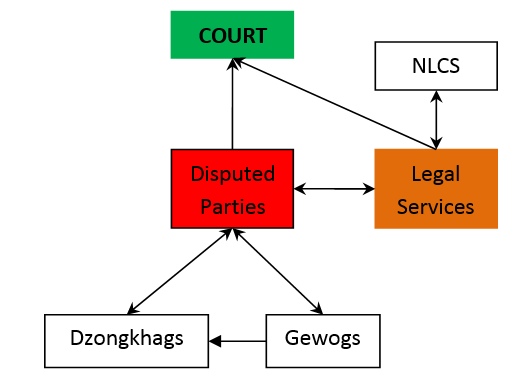 The Courts have stopped receiving land disputes directly and people approached NLCS requesting for amicable solution. The Land Act 2007 prescribes resolving land disputes amicably before “resorting to legal recourse”. This is only possible with the involvement of a third party, which is NLCS by default.